Your costume will be unique. Just say no to bagged costumed and polyester. You’ll save money. 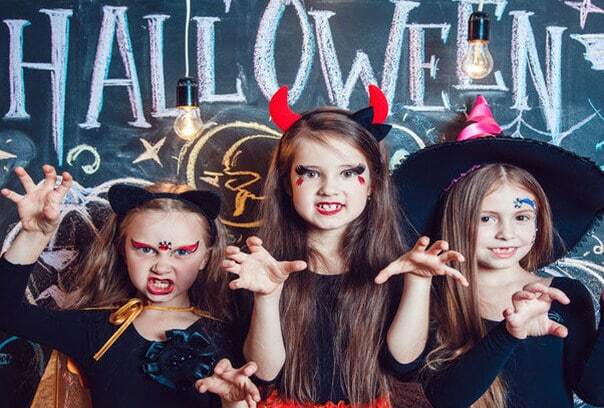 We’re pretty confident you can find a great costume for half the price of a big box store. You can get creative. Click here for some easy DIY costume ideas. You’ll help people get jobs. Your purchases help fund programs and services in your community that help people get jobs and improve their lives. It’s good for the environment. Join us and reuse and recycle instead of adding more waste to the world. It’s fun! If you don’t know what you want to be, pop in and see what you can pull together. You can afford more than one costume. We believe every party deserves its own look. You’ll find more than just costumes. Score great deals on spooky décor to outfit your home. You might stumble across something else you love while shopping for your costume. There’s nothing wrong with perusing the home section while you’re there. Win, win if you ask us! The possibilities are endless. Whatever costume you’ve dreamed up, Goodwill can help you create it.